Creativity Unleashed No. 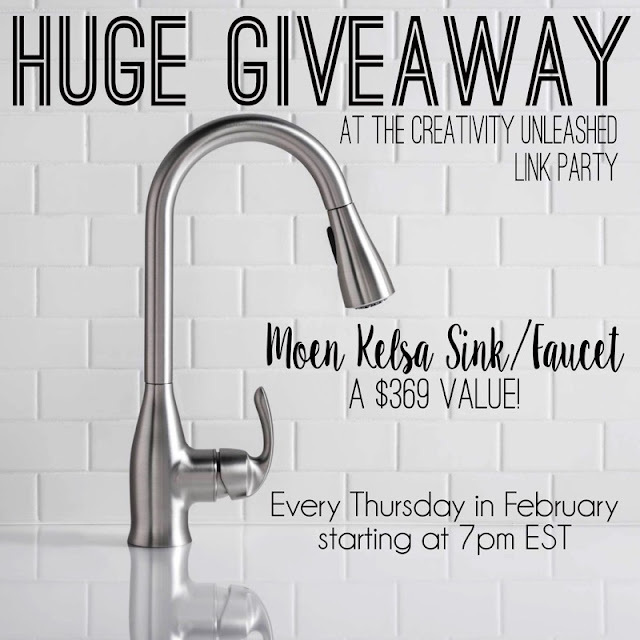 107- And a Moen Sink and Faucet Giveaway! Wait, What?! 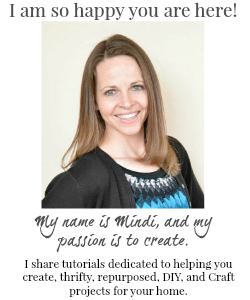 Yes you heard that right, I am a new co-host for the awesome Creativity Unleashed link party!! I am super excited, this party has always been one of my favorites and I feel honored to help host! 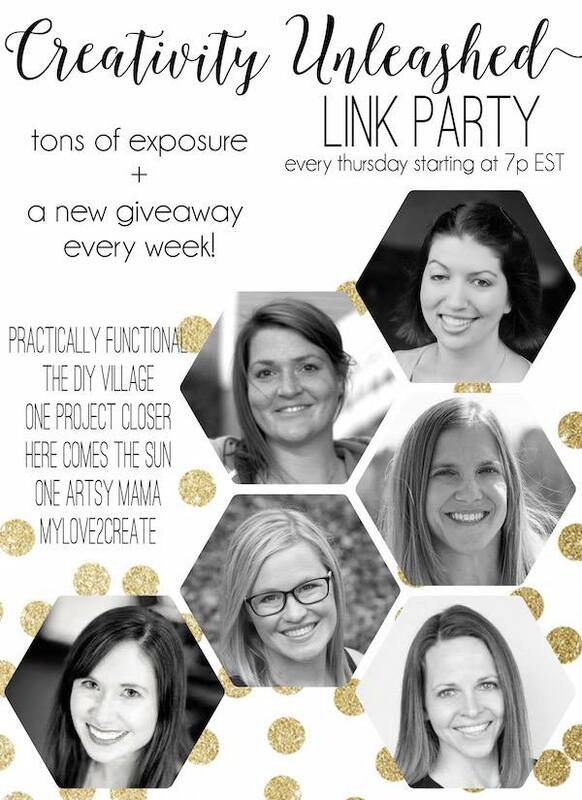 Not only is it a great party but we host a huge giveaway every week too! This week we are giving away a gorgeous Kelsa sink and faucet from Moen to one lucky reader; scroll down to enter for your chance to win! Ready to see the rockstars from last week? 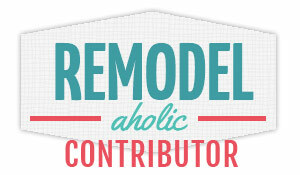 Check out these awesome projects!! So pick your favorite project from the Rockstars above, and let the voting begin! 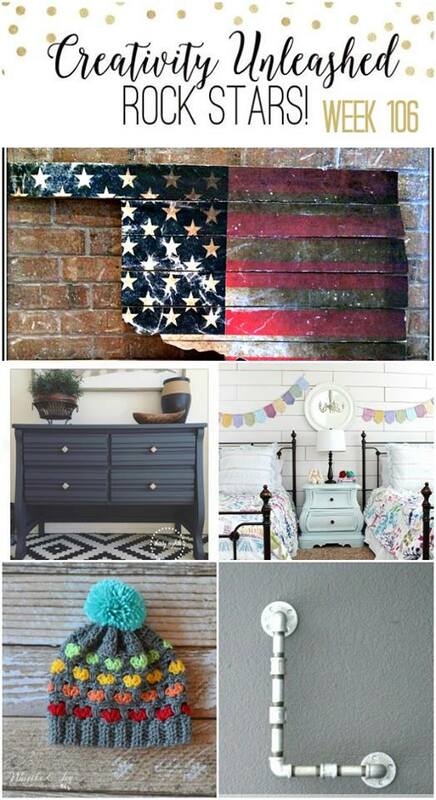 We can’t wait to see which project is your favorite! I'm into soothing blue this year! My favorite wall color is white. It makes a wonderful backdrop for all the things I hang on it. Thanks for co-hosting and the chance to win! My favorite color is yellow. It is bright and makes a room feel ALIVE.